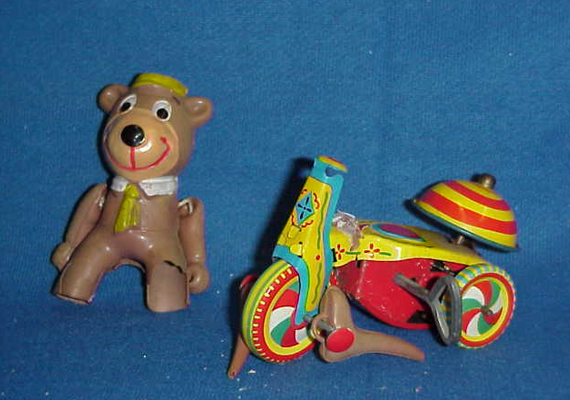 At Randy’s Toy Shop we can repair dents, tears, holes, crazing, recolor and supply parts for your celluloid, wood or composition toys and store displays. We always give an exact estimate in writing and wait for your approval before starting any work. We have “brought back to life” over 20,000 old toys and their boxes coming up on our 30th year of restoration! 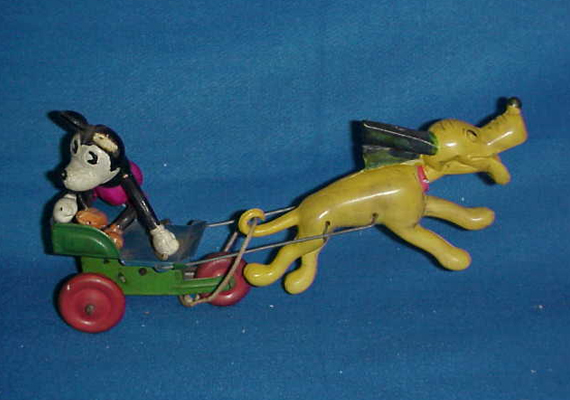 Below are just a few of the many museum-quality, antique celluloid toy restorations that have made Randy’s Toy Shop popular among antique toy collectors around the world. 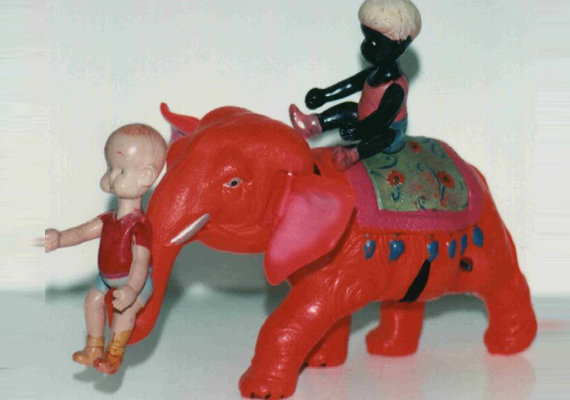 This is a 1930’s celluloid character toy “Henry on the Elephant”. 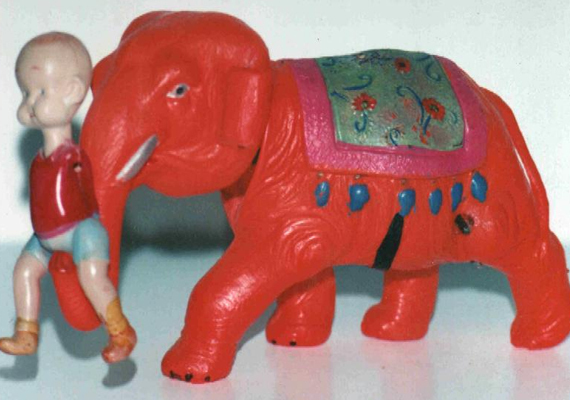 Notice that it is missing Henry’s arms and the elephant’s ears. 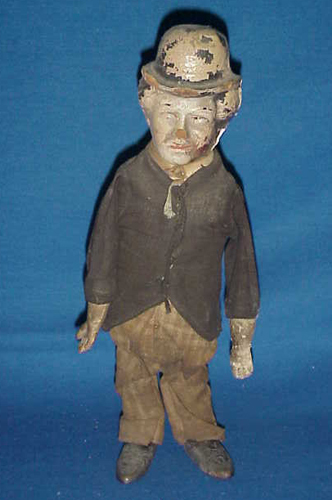 This is the same toy after our restoration. 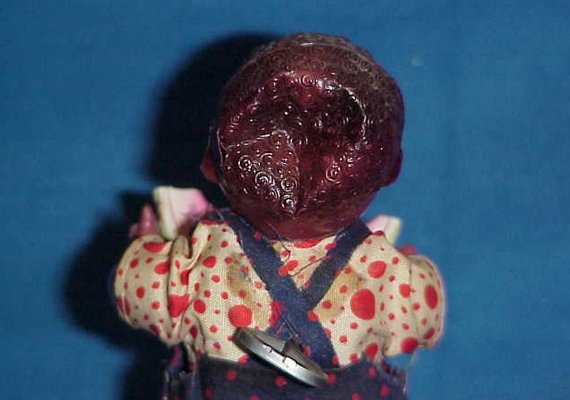 We can remove cracks, dents, and holes and replace missing parts on all of your celluloid toys. This is a before shot of a 1939 Dopey composition store display. 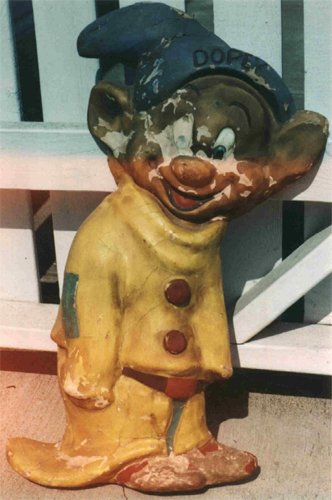 This is Dopey after our composition restoration. We can repair crazing, missing areas and paint and age to match. 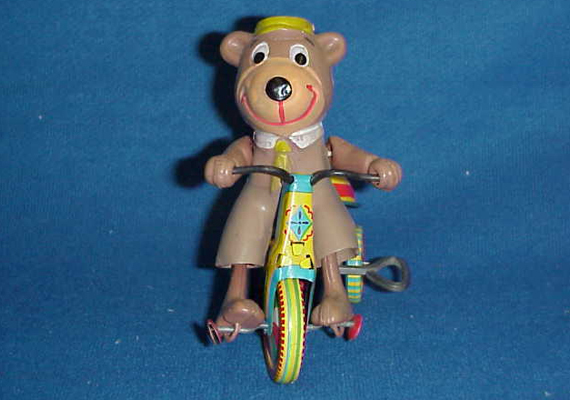 Here’s a rare Yogi on Tricycle circa 1960’s in bad need of repair. Here’s the same toy after our cosmetic repairs bringing the toy back to its full original condition. 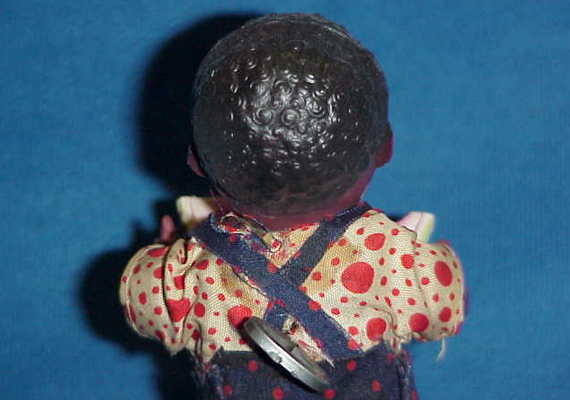 This close-up is of Poor Pete and Pete’s poor head is badly dented. Here’s Poor Pete’s head after not looking so poor. These repairs are less expensive than you might think. 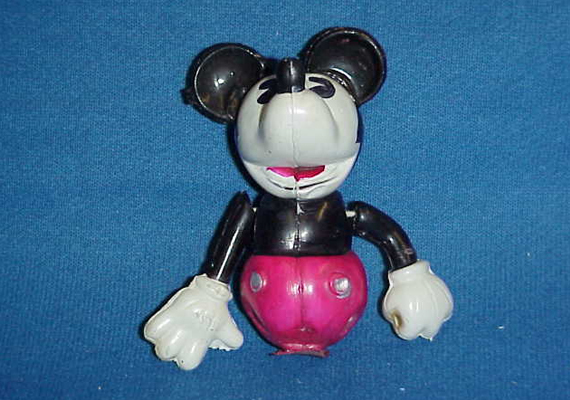 Here’s a rare Mickey figure for the rocking horse missing his legs. 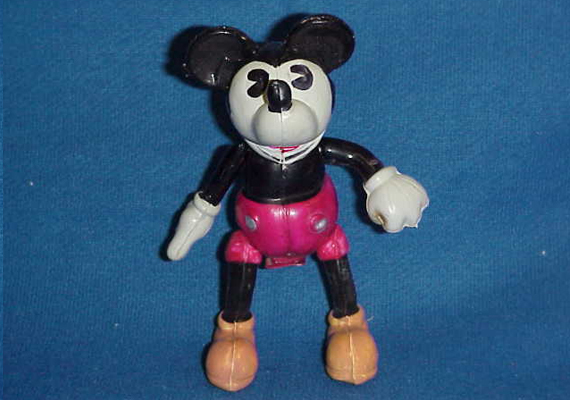 Here’s Mickey again with a new set of legs just like the old – painted to the exact colors. 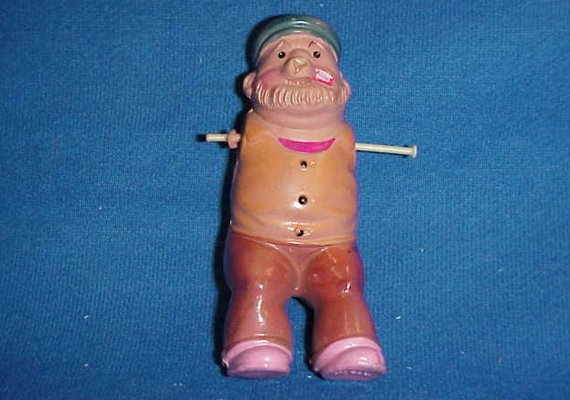 Bluto is in bad need of arms and his nose is dented in. 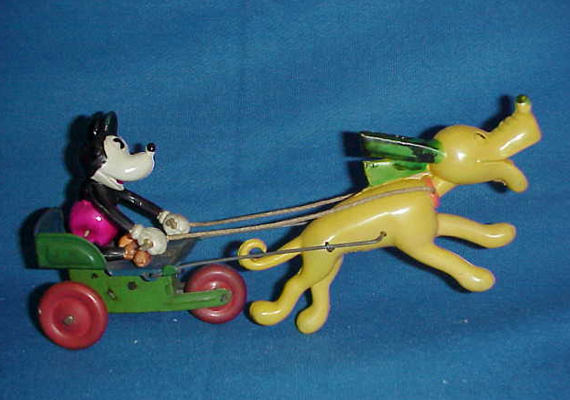 This is the way we received this wonderful rare Mickey and Pluto – this was the condition fresh out of the attic. The dent in Pluto’s head has been repaired as well as original strings tightened, mounting repaired, cleaned and one ear replaced. 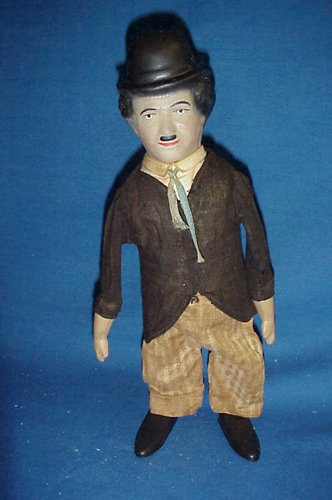 Charlie Chaplin as it was received at Randy’s Toy Shop. 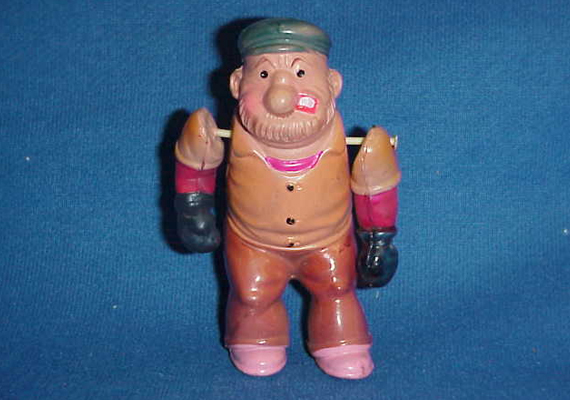 Here is Charlie – fully restored by the experts at Randy’s Toy Shop. 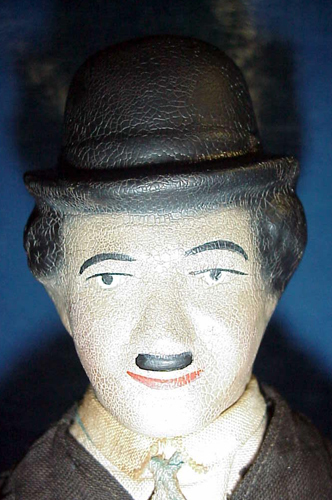 Here is a close up of the Randy’s Toy Shop exclusive Aging Techniques used to restore Charlie’s head. 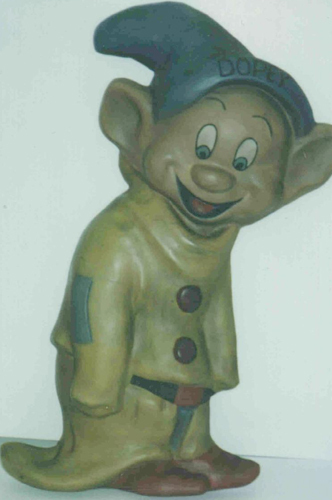 For more information on antique celluloid toy restorations and repairs, please contact Randy or use online repair quote.